An assistant professor of operations management, Gregory DeYong teaches undergraduate, master’s, and PhD classes and conducts scholarly research on scheduling, purchasing, and other aspects of supply chain management. However, this is a relatively new role for him—not too long ago, DeYong was first a purchasing manager and then factory director for a fishing tackle producer. Today, it’s still very important to DeYong to keep up with current business trends and innovations. He uses APICS resources—particularly seminars and publications—to meet, work with, and learn from people who are practicing in the real world the very supply chain and operations management concepts he now teaches in school. 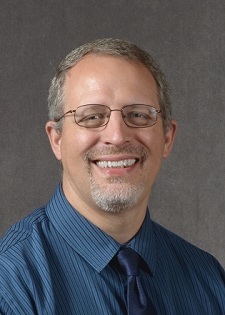 For example, he says he recently flagged an “Ask APICS” article about choosing the right business school and the importance of enterprise resources planning systems in the curriculum; an “Executive View” that discussed company-sponsored learning; a feature story on sourcing, which he says gave him “food for thought for future research projects”; and, lastly, a feature on big data that was particularly interesting to him as an educator trying to determine how to incorporate data analysis into both the curriculum and his own research.